The European Commission and EASME, its executive agency for SMEs, awarded Hofstede Insights and 2 partners the tender to help European SMEs overcome cultural barriers to internationalisation. 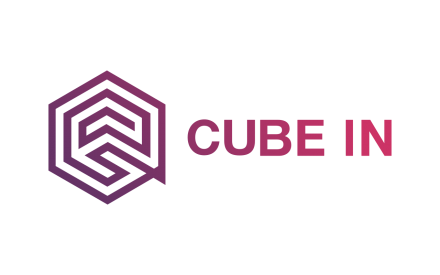 After over a year of research & development, we are extremely happy to announce the birth of CUBE IN, which stands for Cultural Understanding & Business Expansion Internationally. What is the Cubein.eu platform? 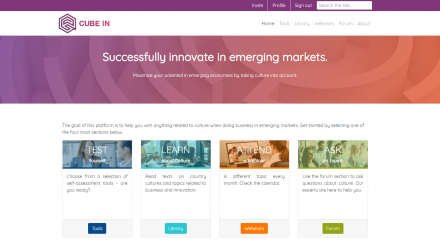 CUBE IN is a FREE platform on culture and innovation for European SMEs interested in innovating in emerging economies. Any member of a European SME (companies with less than 250 people) can register and use it for free. A forum where our expert consultants will answer questions daily. The content of the library is created specifically for the platform by the expert trainers and consultants of Hofstede Insights. The tools were developed in collaboration with the world’s most renowned cross-cultural researchers, Misho Minkov and Gert Jan Hofstede. The platform was entirely designed and developed by the R&D team of Hofstede Insights based on interviews with stakeholders conducted by Technopolis Group BV. CUBE IN is an instrument of the European Commission to support SMEs. It was implemented through EASME, the European Executive Agency for Small and Medium-Sized Enterprises, as part of the Horizon 2020 Framework. The platform is specifically designed for business representatives and their advisers (for example, members from the Enterprise Europe Network). CUBE IN is a fantastic tool for any EU citizen interested in increasing his/her knowledge of other cultures. Larger organisations that would like to use the platform, please contact us directly via the contact form below. For additional information on the project, please contact the project managers at Hofstede Insights: Michael Schachner and Celia Zanin: (firstname@hofstede-insights.com).